TIME 100 Most Influential People covers were released to the public and it includes heavy hitters including a breakout comedy star, a world pop icon, Oscar winning actress, a heroic political figure, a CEO of a world dominating company, and a sports legend. 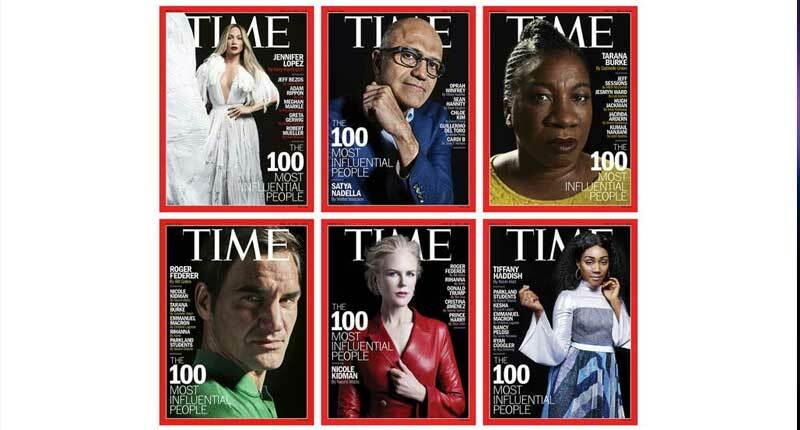 For 2018, TIME selected Tarana Burke, Roger Federer, Tiffany Haddish, Nicole Kidman, Jennifer Lopez and Satya Nadella to appear in a series of covers for the issue. Shot by Peter Hapak the stories are written by notable figures on the selected cover subjects. Check out the Time magazine individual stories.